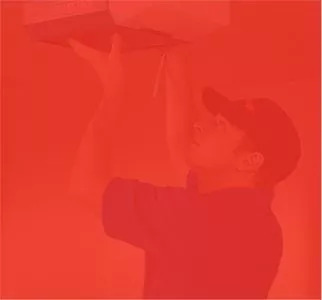 For over 80 years, Overhead Door Company of Fort Wayne has been offering residential customers in Auburn the highest quality overhead garage door services in the area. Whether you need a garage door installed, replaced, repaired or maintained, our team is here for you! We want to help keep your home and family safe with a beautiful, secure and functional overhead garage door. Are you in need of garage door replacement or repair in Auburn? Contact us online or call 260-205-8509 for 24-hour emergency garage door service. Overhead Door Company of Fort Wayne specializes in garage door installations and replacements in the Auburn area. Our wide selection of quality garage doors ensures you’ll find a product to meet your quality, reliability and performance needs. Once you make your selection, we’ll perform a professional installation to ensure that you get the results you’re hoping for. We’ll also install a garage door opener to match whichever door you choose. Overhead garage doors are usually reliable, but if yours starts acting up, you can’t postpone the repair. Contact us by phone at 260-205-8509 at any time, day or night, and we’ll send an experienced technician to your Auburn home to perform an immediate repair. To help you avoid these kinds of emergencies in the future, we recommend scheduling routine garage door maintenance. Tasks such as tightening loose nuts and bolts, lubricating moving parts, adjusting the springs and testing the door balance go a long way toward extending the life of your garage door. We have an impressive selection of overhead garage doors and garage door openers to choose from. We provide same-day service for calls received by 5 p.m. Monday through Friday. To schedule garage door services in Auburn, please contact us online or call 260-205-8509 today!